About University Wines in the Laurelhurst Neighborhood of Seattle WA, with a Friendly, Knowledgeable Staff that Brings Exclusive Wines from Family Owned Independant Wineries in France. 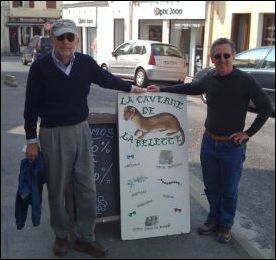 Our friendly, knowledgeable staff travels to France each spring so that we can tell you more about the wines we offer. 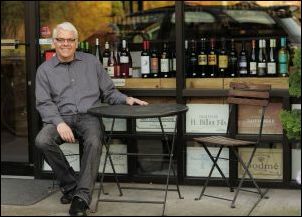 Gordon McIntosh is the owner of University Wines in Seattle’s Laurelhurst neighborhood. Before purchasing the wine shop, he was a customer of La Cantina for more than 20 years. As Mike D. and Mike B. neared retirement, Gordon didn’t want to see this neighborhood wine retailer disappear, so he agreed to take over ownership on one condition: that Mike D. and Mike B. continue to work at the retail shop part time. He enjoys living in Seattle again so that he can be closer to his grandson and traveling to France so that he can continue to bring quality wines to his customers in Seattle and throughout Washington, Oregon, Montana and Idaho. Mike Dodson has more than 35 years’ experience in the wine business. He originally started working at La Cantina in 1974, eventually buying the wine shop in 1985. He has spent years developing relationships with independently owned family wineries in France, in some cases working with fathers and then sons and daughters as the family winemaking business has been handed down from generation to generation. Mike sold his retail wine store to Gordon in 2010 so that he can spend a little more time at his fishing cabin, but he continues to work at University Wines three days a week. Mike B. combines his 30 years of experience in the travel industry with his love of French wine, culture and cuisine to provide you with friendly and knowledgeable service at University Wines. He can tell you not only which entrée will perfectly complement your Bordeaux but also his recommendations for where to stay in Paris on your next trip to France.